Valencia is an extensive collection of clean and compact, predominantly solid oak, cabinet furniture that will enhance any modern living space. Expertly hand crafted using traditional techniques, Valencia incorporates some attractive contemporary and space saving features to give it great appeal. 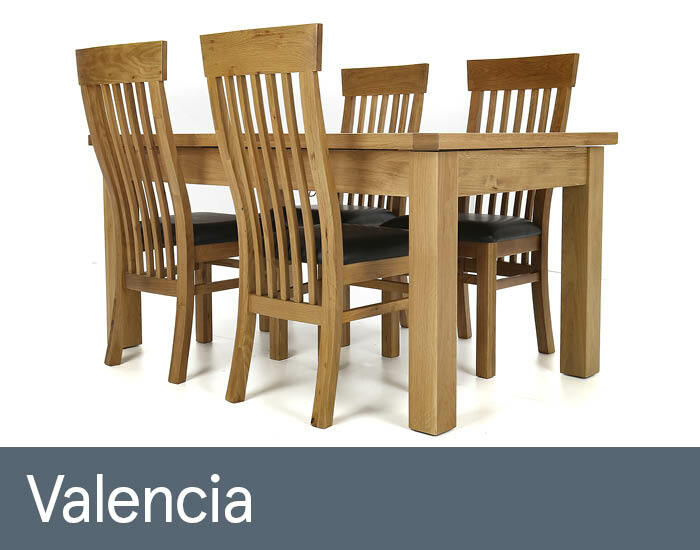 Whether you’re looking to completely furnish a dining room or just add an occasional piece to an existing mix, Valencia will prove a quality and practical solution.